Three games don’t make a season and it certainly doesn’t define a career. However, you are what your numbers say you are and the numbers for Darius Leonard so far say that he’s a star. The rookie from South Carolina State leads the NFL in tackles with 41 combined after three games, and it’s not close. He’s the only player in the league with 40-plus tackles, second place Kiko Alonso from Miami has 34. When you look at the entire list it’s clear that minus Leonard, the expectation of the NFL’s premier linebackers is about 10.5 to 11.5 tackles per game. Leonard is currently averaging 13.6 tackles per game. Pick your favorite NFL defensive star and yes Leonard has more tackles than him. 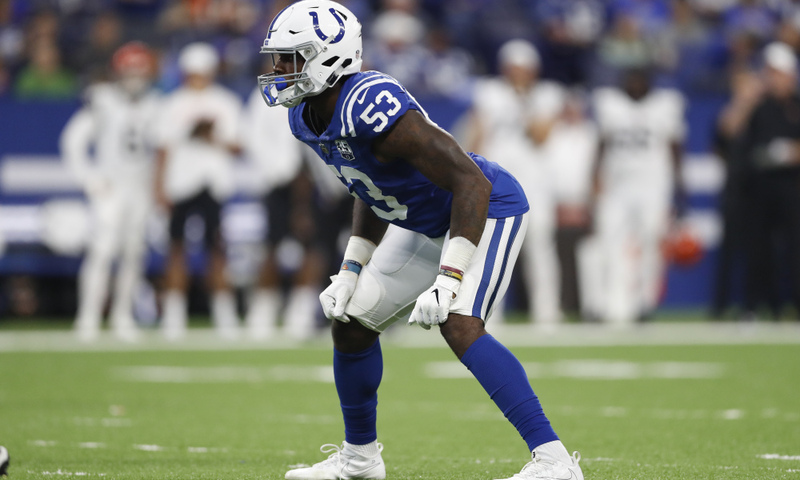 Darius Leonard (41) is tied for the most tackles through the first three games of a season in NFL history behind Ray Lewis (44), London Fletcher (43) and Zach Thomas (43). It’s not just assisted tackles, Leonard is saying it with his chest. Thirty of his 41 total tackles are solo takedowns. The top 11 tacklers from last season were all linebackers with three players tied at 144 total tackles. If Leonard were to avoid injury and keep up his “maniac” pace he could pick up 265 tackles this season. That’s highly unlikely but consider this, since the year 2000 the most tackles recorded in a single season is 175 by New England’s Jerod Mayo. That averages out to just a tick under 11 tackles per game. The only caveat to leading the league in tackles is that it often means your overall team isn’t that great. High tackles mean the opposition has the ball on offense enough to put you in a position to have to make all of those tackles. A better indicator of individual success that leads to team success is sacking the quarterback. Sacks lead to long yardage situations and increase the likelihood of a punt or even a turnover. The sack game is always dominated by defensive ends or defensive tackles due to proximity. However, Leonard is one of six linebackers currently ranked in the top 20 of sacks in the league. Leonard has three sacks so far this season, which is just one sack off the league-leading four. Myles Garrett, Cameron Jordan, Khalil Mack, and Von Miller all have four sacks apiece through three games. There’s a lot of games remaining in Leonard’s rookie season but so far he’s off to a rocket start. Defensive Rookie of the Year is certainly an attainable goal for Leonard but at this pace, even bigger things might be in store for the first-ever HBCU Gameday/Protect Your Skull Defensive Player of The Year.